Master Sgt. 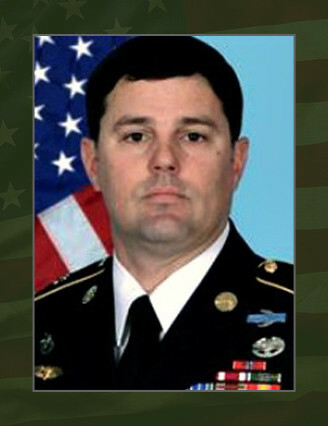 George A. Bannar Jr., 37, of Orange, Va., died Aug. 20, 2013, of wounds received from small-arms fire in Wardak Province, Afghanistan. He was assigned to Company C, 3rd Battalion, 3rd Special Forces Group (Airborne), Fort Bragg, N.C., and was deployed in support of Operation Enduring Freedom. This was Bannar’s fifth deployment to Afghanistan. Bannar enlisted as a medical specialist in the U.S. Army in October 1996, completing his medical training at Fort Sam Houston, Texas, and then attending the U.S. Army Airborne School at Fort Benning, Ga. Upon completion of his initial training, he was assigned to the 3rd Battalion, 505th Parachute Infantry Regiment, 82nd Airborne Division. While serving in the 82nd he volunteered for the Special Forces Assessment and Selection and began his Special Forces training in 2001. In July 2003, he graduated from the Special Forces Qualification Course as a Special Forces Medical Sergeant, and was assigned to the 1st Battalion, 3rd SFG (A). Bannar served in the 1st Bn. for five years, deploying with the unit to Afghanistan four times. In August 2008, he was assigned to the 1st Special Warfare Training Group (Airborne) and stationed in Yuma, Ariz., where he worked at the Military Free Fall School as an instructor. In October 2012, Bannar returned to the 3rd SFG (A) and was assigned to the 3rd Bn. Bannar earned an Associate’s Degree from Fayetteville Technical Community College and a Bachelor’s Degree from Campbell University. His military education includes Airborne School, Warrior Leaders Course, Jumpmaster School, Air Assault School, Advanced Leaders Course, Survival, Evasion, Resistance and Escape Course, Senior Leaders Course, Advanced Special Operations Techniques Course, Military Free Fall School, Military Free Fall Jumpmaster School, Advanced Military Free Fall Parachutist School, Basic Instructor Course, Small Group Instructor Training Course and the Special Forces Qualification Course. Bannar’s awards and decorations include the Bronze Star Medal with Valor Device, Meritorious Service Medal, Bronze Star Medal, Army Commendation Medal with Valor Device , three Army Commendation Medals, Army Achievement Medal, Meritorious Unit Commendation, five Army Good Conduct Medals, National Defense Service Medal, Afghanistan Campaign Medal with three Campaign Stars, Global War on Terrorism Expeditionary Medal, Global War on Terrorism Service Medal, three Noncommissioned Officer Professional Development Ribbon s, Army Service Ribbon, NATO Medal, Expert Field Medical Badge, Air Assault Badge, Canadian Parachutist Badge, Royal Netherlands Army Parachutist Badge, Venezuelan Parachutist Badge, Master Parachutist Badge, Military Free Fall Jumpmaster Badge, Combat Medical Badge, Combat Infantryman Badge and the Special Forces Tab. He was posthumously awarded the Purple Heart and Bronze Star. He is survived by his wife and his parents.